Heart-shaped pillow. 【SLAVIC GIRLS (WOMEN)】, ukraine girls your brides, russian girl for marriage..
Do you know how to leave your heart with your beloved while you are so far away? 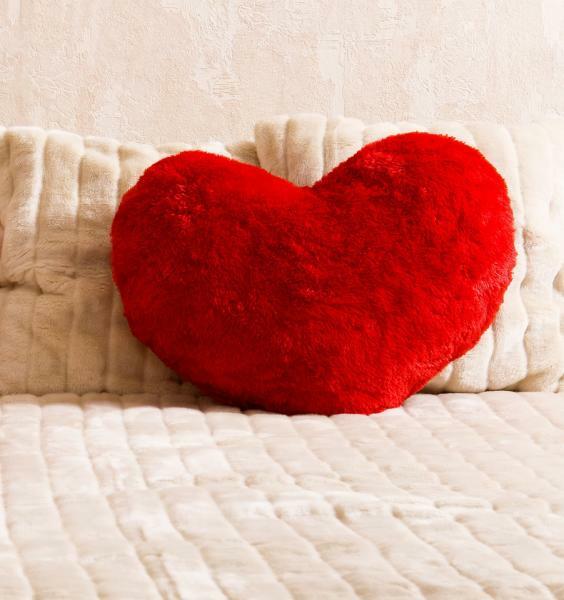 We have an idea: gift her a fluffy heart-shaped pillow which she can lean on or hug in a sleep! It is a pleasant reminder about you that will make her house a cozier place with your help. The gift consists of a red fluffy heart-shaped pillow at least 40 cm width in a gift bag.